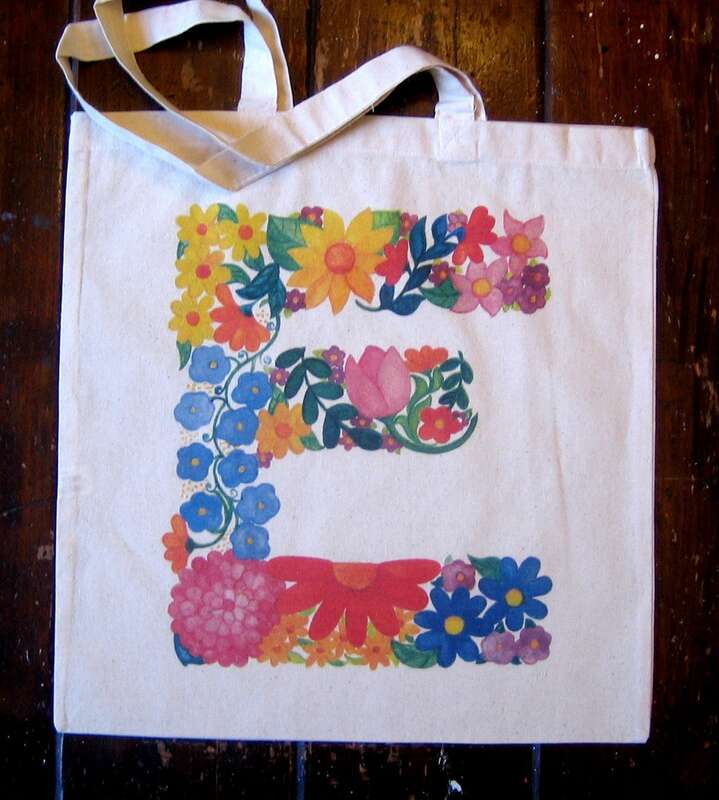 Monogram Flowers Market Tote Letter "E"
Letter "E" monogram market tote digitally printed on natural cotton flat tote (15x15.5) from original watercolor painting. 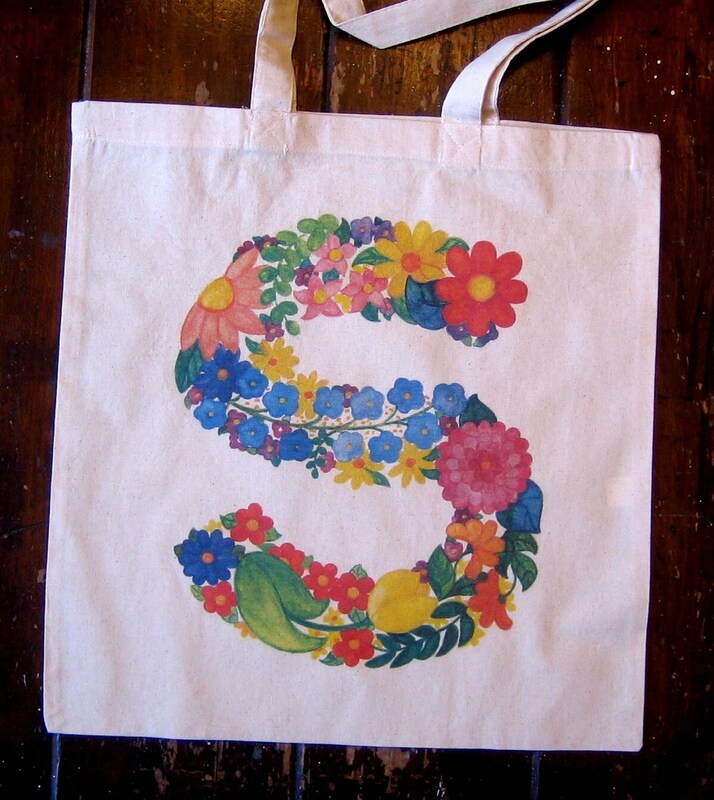 Great gift for bridal parties or showers or those who love to garden...or not! 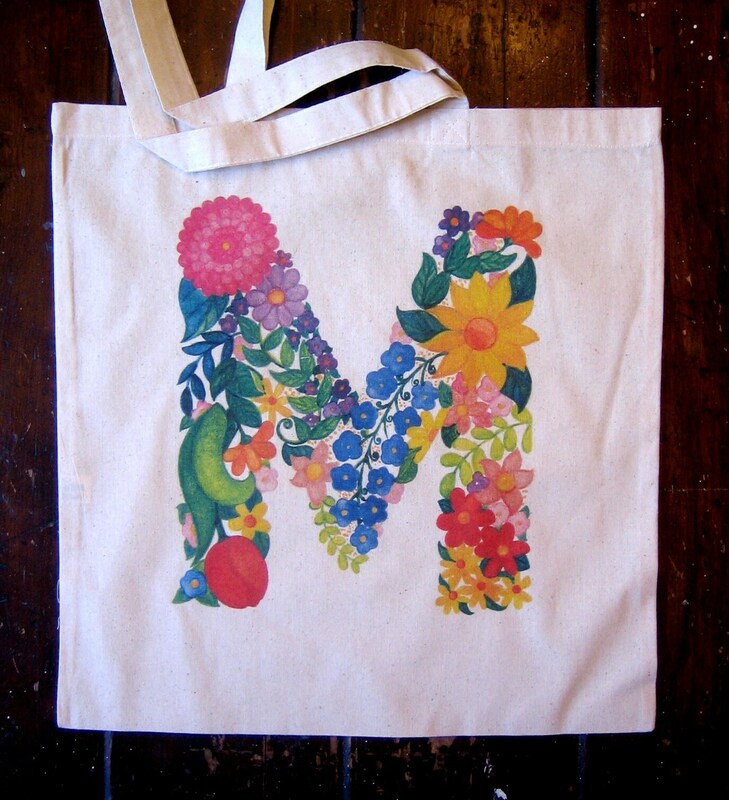 Other available letters, A, B, C, D, M. S. More soon.